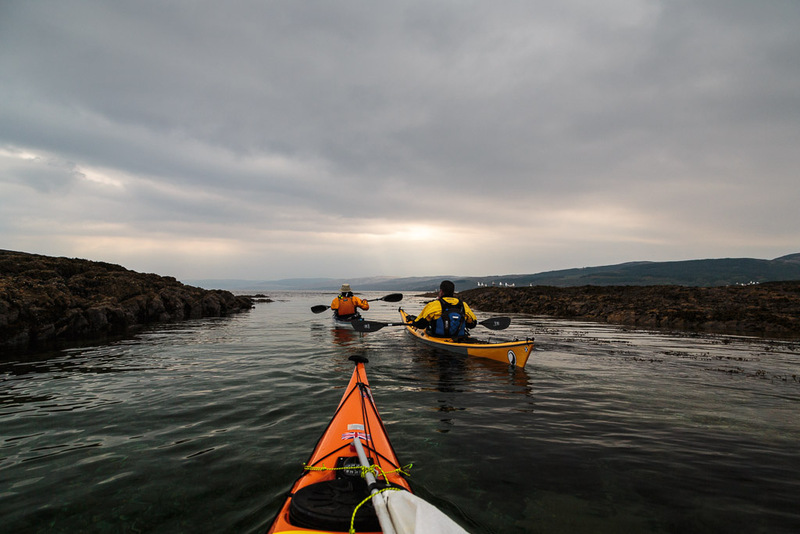 Sea kayaking with seakayakphoto.com: Ne'er cast a cloot till May be oot. 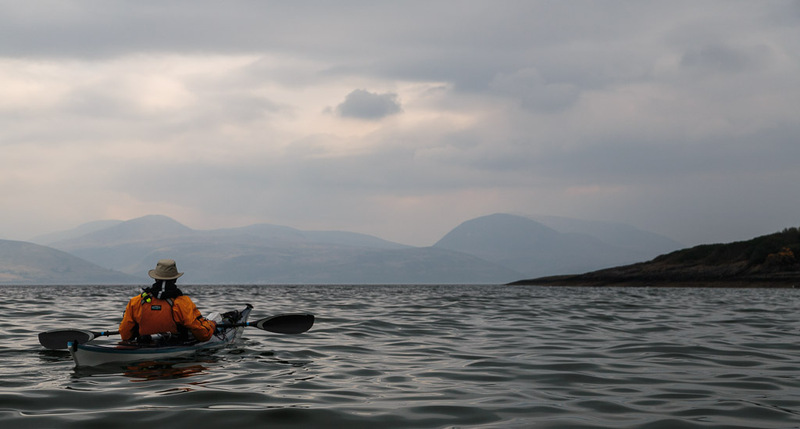 Ne'er cast a cloot till May be oot. 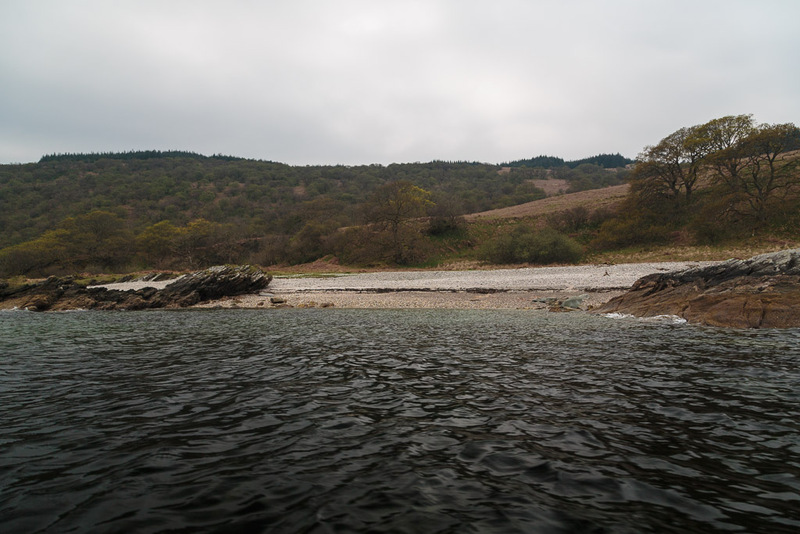 ...light quartzite pebbles, backed by suitable camping spots but we were bound for further south. 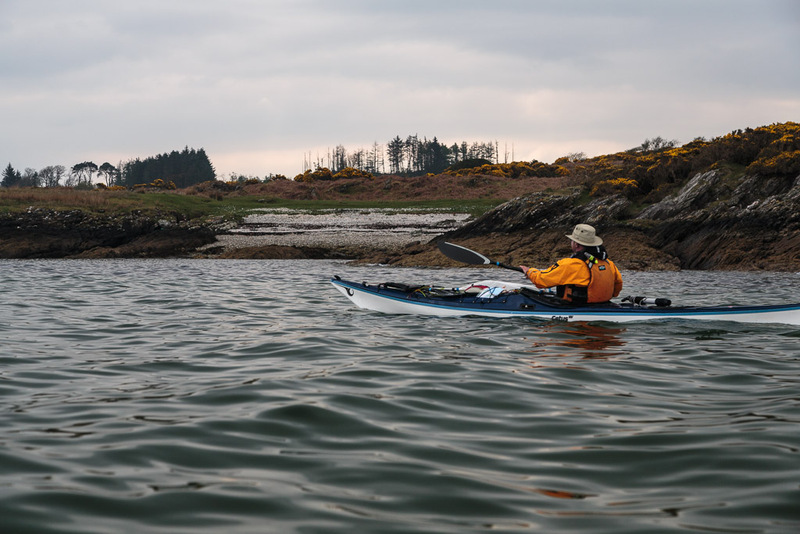 After a little tidal assistance we were approaching slack water and a cold head wind picked up as the skies clouded over. 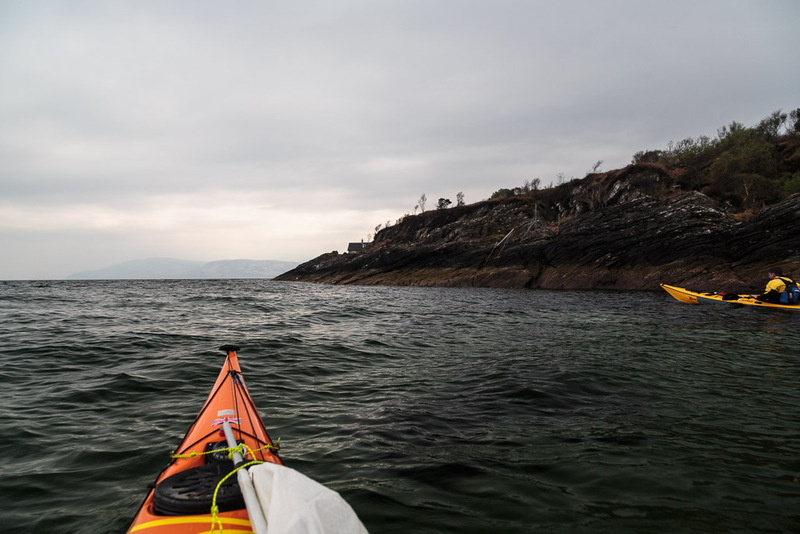 Although the temperature had dropped like a stone we were warmly attired in our dry suits and clooty thermals so we were able to enjoy the magnificent prospect down the Kilbrannan Sound, which separates Kintyre from the mountainous island of Arran. 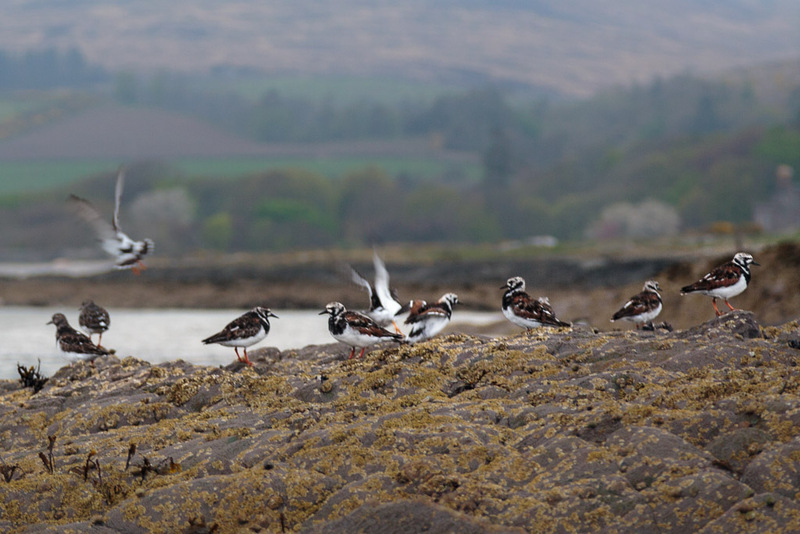 ...we passed these delightful turnstones, resplendent in summer breeding plumage despite the old adage ne'eer cast a cloot till May be oot! 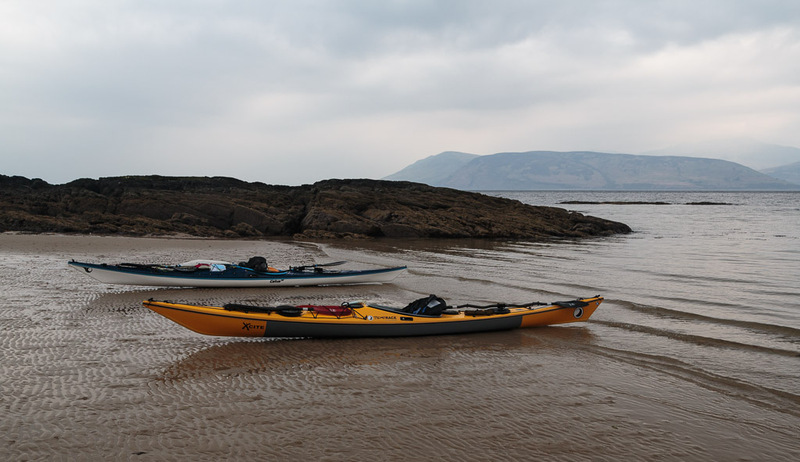 It was with some relief that we drew our kayaks onto the old red sandstone sands of Skipness Bay. 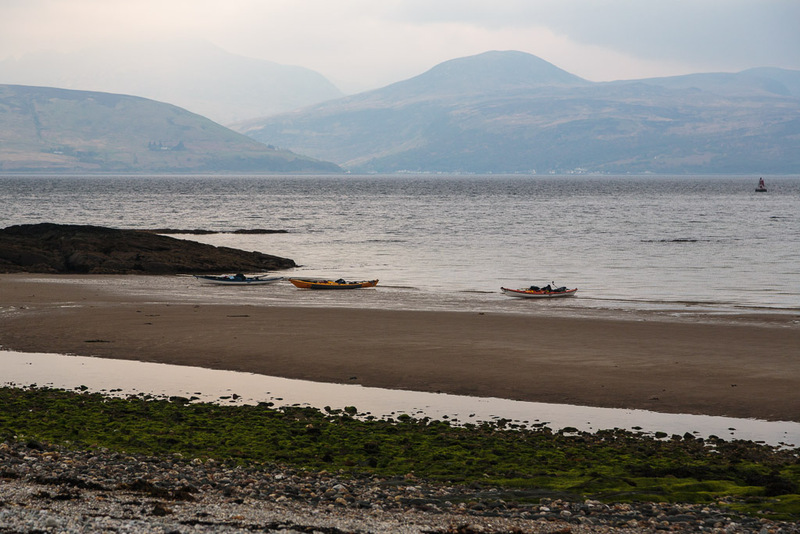 We decided to explore onshore but first we had to cross the green zone of death...slippery weed covered cobbles. Before my last knee operation I would have required assistance to cross this barrier. I was delighted to manage it on my own with apparently little more difficulty than Ian or Mike. If you ever need surgery on a limb, I commend you to follow your physiotherapist's instructions to the letter. "No gain without pain" is, I understand, the motto of this most excellent of professions!